Can you resist the call of the Sirens? According to Greek mythology, sailors were known to leap from ships and into the sea, enchanted by the song of bare bodied and buxom women known as the Sirens. The hero, Odysseus, evaded the lure of the Sirens by filling his crew's ears with wax and tying himself to the mast. Here at Carlton Audio Visual, we have in our possession a trio of speakers which are just as seductive - both in form and function. The Dynaudio Confidence C1's, the PMC AML1's, and newly landed NHT XdA's. All three produce sound that belies there small appearance. Giant killers you might say. Yet each is borne of distincly different philosophies. The Dynaudio's are conventional passive speakers, albeit possessing arguably the world's most reputed speaker drivers. 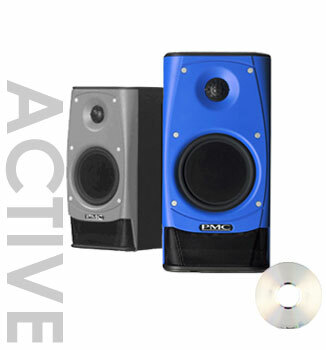 Molded baffles aide sound waves dispersed from the legendary tweeter and polypropolene proprietory woofers. The PMC's are an active design, featuring electronic cross overs and high tech materials to acheive a ridiculously neutral sound. The NHT's, while also active, do all the processing in the digital domain, and consist of two sattelites and a choice of one or two subwoofers. 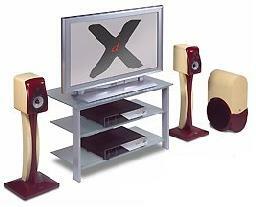 Both the sound reproduction, and visual aesthetics, are akin to something from an era in the distant future. Be warned, if you wish to avoid the entrapment of these beauties, make sure to bring some wax and a mast (preferrably attached to a large ship).